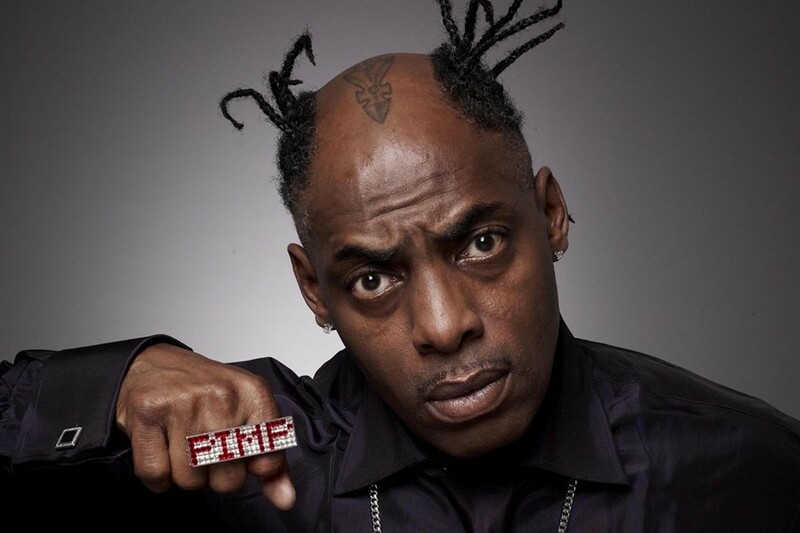 Coolio has been lying low since his 2013 single "Get Rich", but he's planning a dramatic comeback with an as-yet-untitled forthcoming studio album this year. But instead of dropping it via Souncloud or some other conventional music streaming site, Coolio's releasing his new material through Pornhub. According to TMZ, the 50-year-old rap veteran – real name Artis Ivey Jr – signed a deal with the adult entertainment site. In exchange for supplying the modelling talent for his new music video, "Take It To The Hub", Pornhub will get an exclusive premiere on Coolio's new tracks. This will be Coolio's first album since 2009's From the Bottom 2 the Top. If you want to take a sneak peek at what Coolio has in store, here's a behind-the-scenes preview of "Take It To The Hub". You can't really hear the track in the background, but you can watch Coolio wave a garden hose over some Pornhub performers. There is also, inexplicably, a picture of a woman twerking with a dinosaur.